"Atom," "byte" and "gene" are metonymies for techno-scientific developments of the 20th century: nuclear power, computing and genetic engineering. Resistance continues to challenge these developments in public opinion. 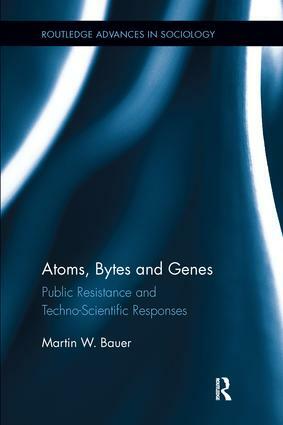 This book traces historical debates over atoms, bytes and genes which raised controversy with consequences, and argues that public opinion is a factor of the development of modern techno-science. The level and scope of public controversy is an index of resistance, examined here with a "pain analogy" which shows that just as pain impacts movement, resistance impacts techno-scientific mobilization: it signals that something is wrong, and this requires attention, elaboration and a response to the challenge. This analysis shows how different fields of enquiry deal with the resistance of social-psychological mentalities in the face of industrial, scientific and political activities inspired by projected futures.